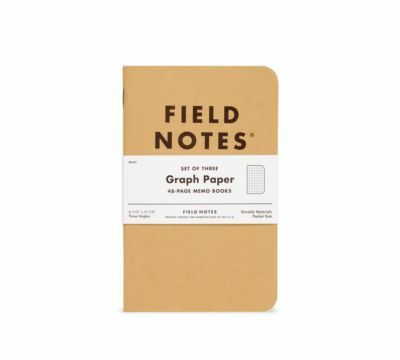 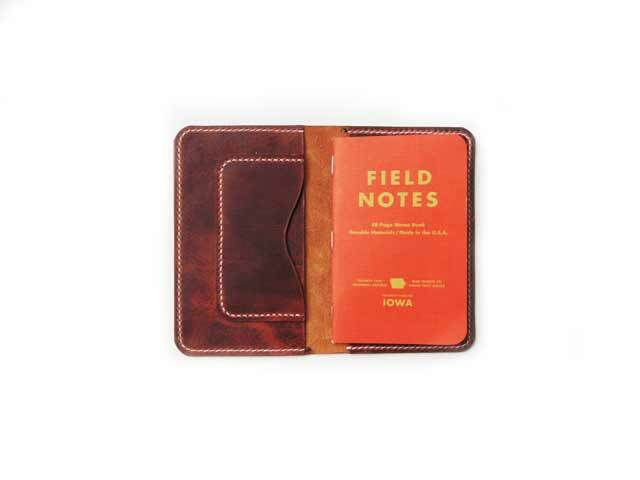 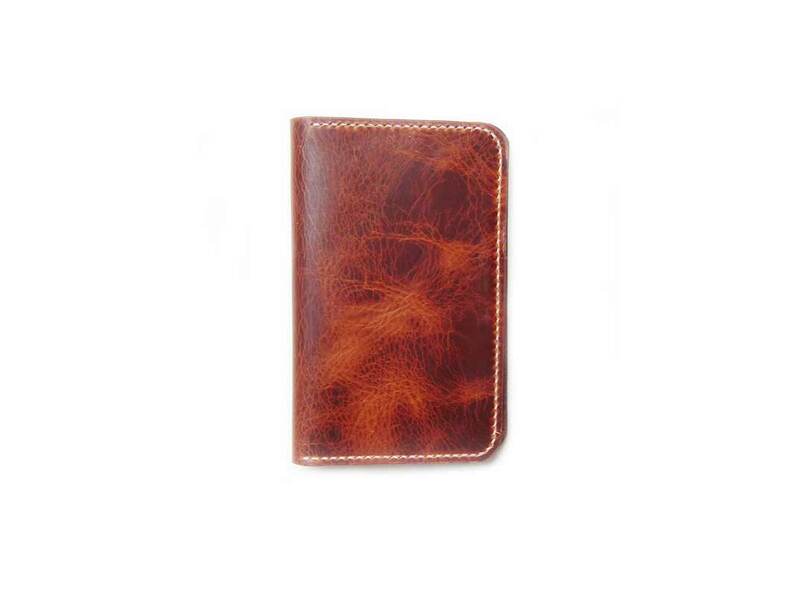 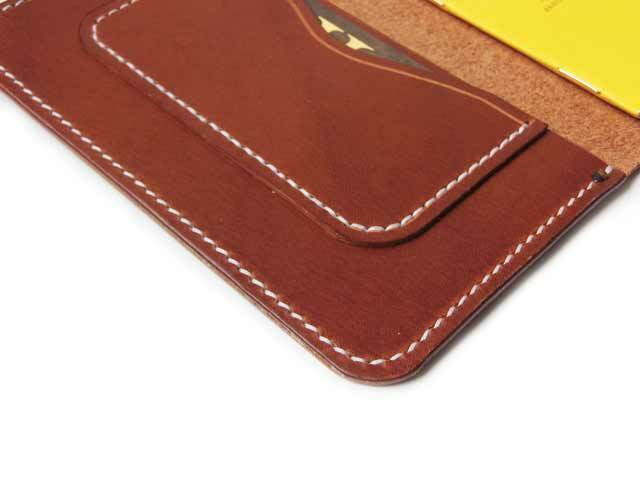 This Field Notes cover in made from veg tan leather in a tan brown. 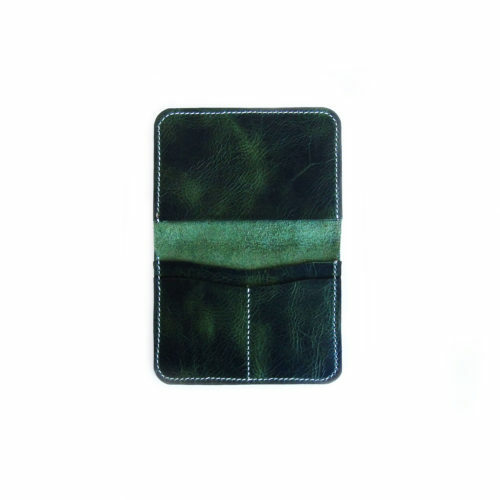 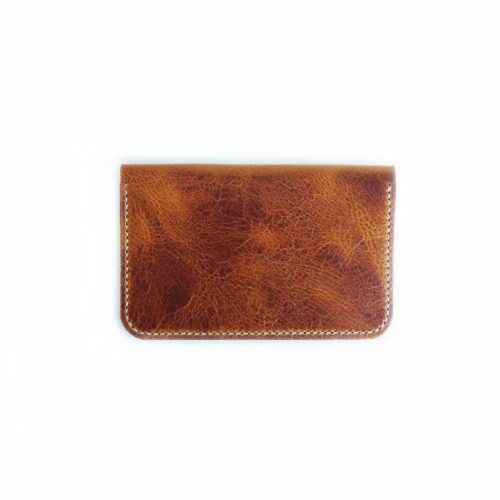 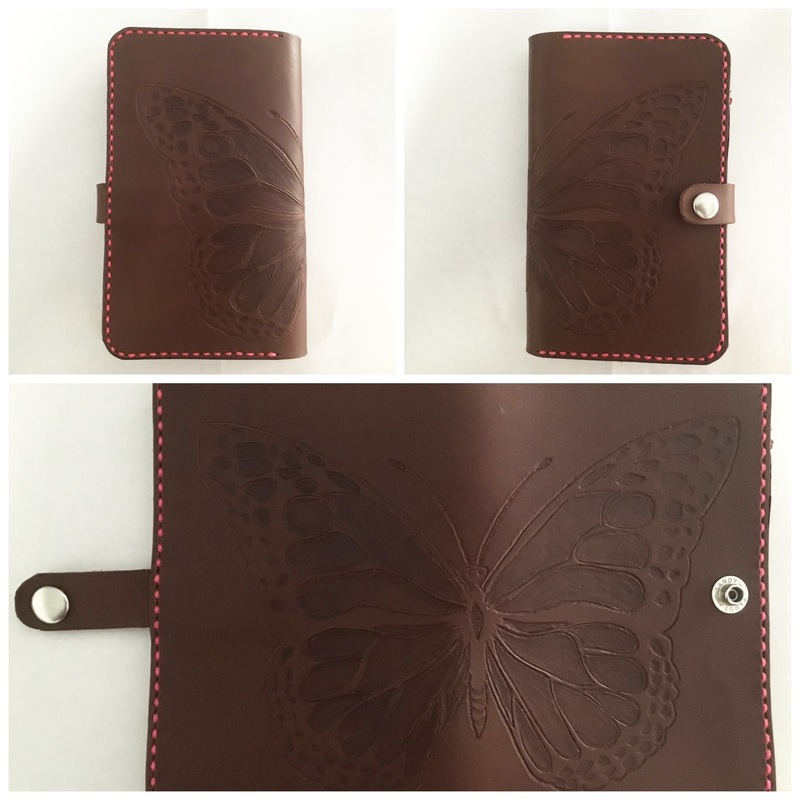 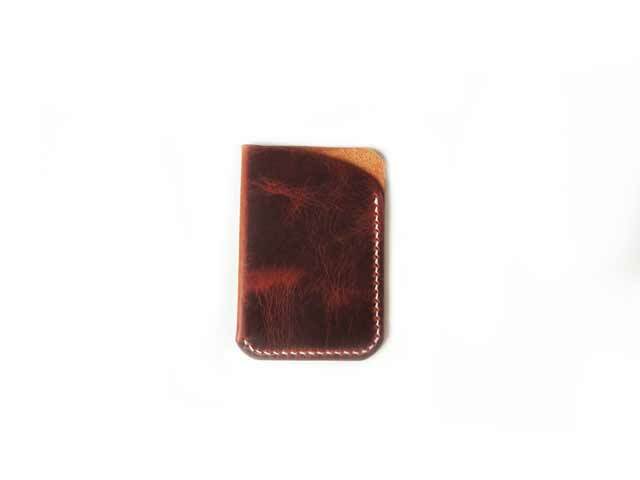 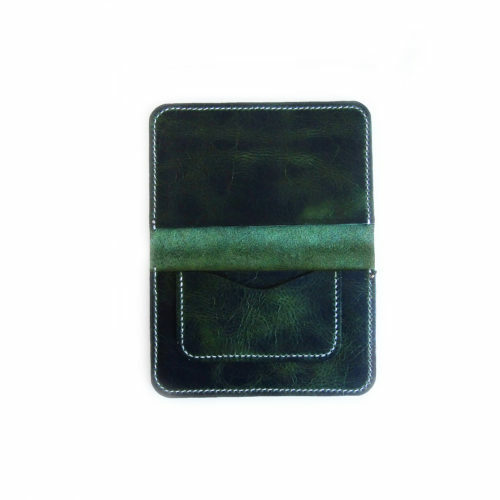 It is hand stitched with tiger thread, and one inside pocket for business cards, or any other card you may need to carry. 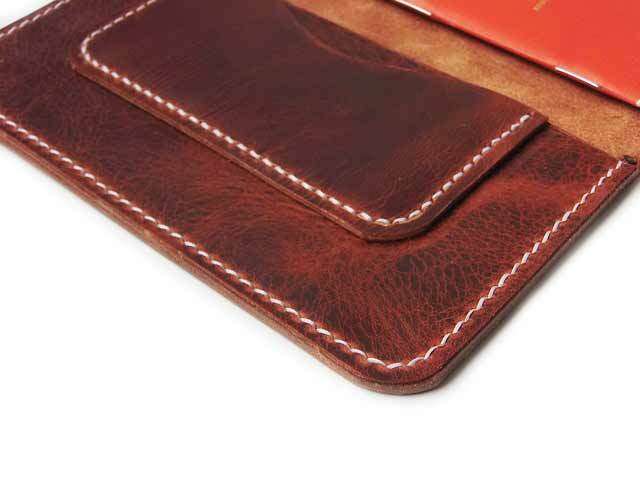 This leather looks like it works as hard as you do!